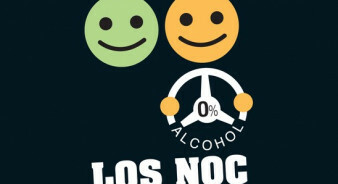 Drinks Initiatives - Designated driver campaign: "Los Noc-turnos"
Designated driver campaign: "Los Noc-turnos"
To raise awareness of the dangers of drink-driving among young drivers. To implement the designated driver concept as normal behaviour. To raise awareness of responsible alcohol consumption among young drivers. To raise awareness of the dangers of drink-driving among young drivers. To implement the designated driver concept as normal behaviour. To raise awareness of responsible alcohol consumption among young drivers. In 2017, in collaboration with Repsol 800,000 bottles of water were distributed to petrol stations during summer. 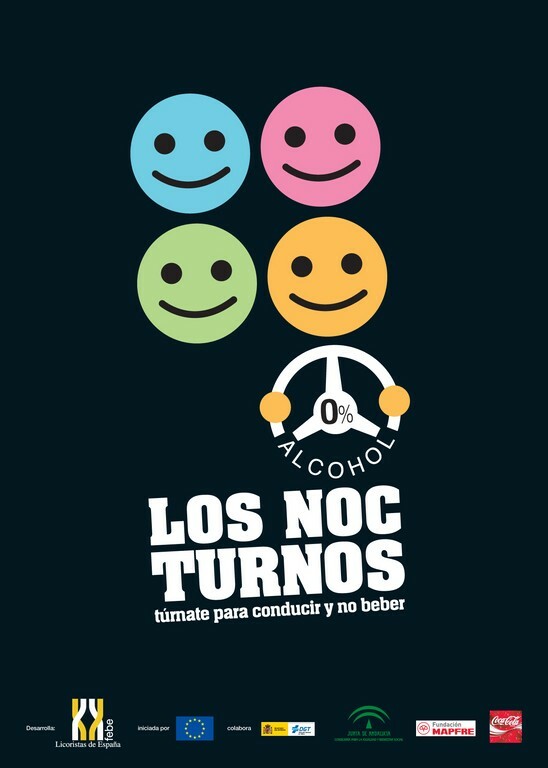 In Granada, 1,600 young people were designated drivers, impacting more than 5,000 young people indirectly. FEBE and ANEBE jointly ran the campaign in Badajoz and Elvas. A second phase of it was ran during police controls where FEBE and ANEBE supervisors provided the campaign information to drivers. Sober designated drivers were rewarded (more than 100 drivers were rewarded). Other 8 events took place in other cities with more than 400 drivers with 0,0 BAC level. 62% of youth say they would not drink if they had to drive. 7 out of 10 were fully familiar with the designated driver concept. 80% of them say that they would try to stop a friend who try to driver after drinking. The number of deaths decreased in the age group 15 to 25 years old. In 2011 there was a 26% reduction in deaths compared to 2010, and 79,3% compared to 2000. In 2010, there were 69% fewer drink-drive deaths (363) compared to 2001 (1,174). In 2011, there were 64% fewer deaths due to traffic accidents (1,479) compared to (4,067).